I hope you are having a great week and that you are ready to hear great news about Microsoft and its effort to introduce Microsoft Dynamics to every business. "This spring, the Lotus F1 Team and Microsoft announced a three-year partnership that stamped the Microsoft Dynamics name on the team's cars and its drivers' overalls. But the deal goes well beyond logos. 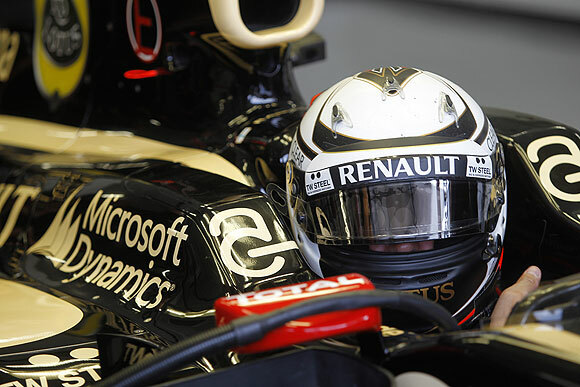 The Lotus F1 Team is using Microsoft Dynamics AX to help fine-tune and drive every aspect of its business, from managing the design, manufacturing and testing of the 20,000-plus parts on each car to analyzing real-time data from the racetrack"
I'm super excited about the news as it reinforces my belief that we have a platform that just works in every industry, in every business, every time. No wonder why the AX 2012 logo "Powerfully Simple" says it all.